December may not seem like the ideal time to spend a week in the Scottish Highlands, but for me there is beauty and interest to be experienced whatever the time of year, and whatever the weather throws at us. And the weather did indeed throw a lot at us. We are now naming storms in the United Kingdom (and will rapidly run out of names at the current rate of progress). Storm Desmond accompanied our stay in Kinlochewe, a village in Wester Ross, between Achnasheen, Torridon and Gairloch, on the northwest of Scotland. Kinlochewe stands at the southern end of picturesque Loch Maree and under the dramatic slopes of Beinn Eighe National Nature Reserve. 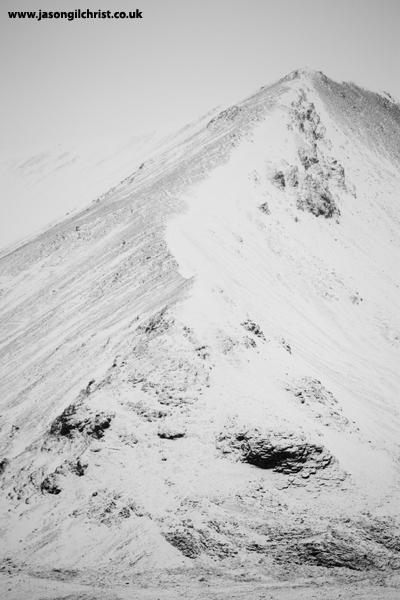 Snow covered the mountain tops periodically during the trip, adding further character to the landscape. But it was the rain and wind that left its mark. My most memorable moment was seeing the stepped cliffs of the imposing Liathach in Glen Torridon awash with waterfalls (hundreds of them). As if that was not enough, the wind was so powerful that the countless waterfalls were flowing up, rather than down. Conditions were so horrible that photographing the spectacle was impossible. Other highlights of the trip included views of the snow-capped Slioch, a broodingly dominant chunk of a mountain, overlooking the Loch, and the coastal drive around the Applecross Peninsula with the picture-postcard Sheildaig nestled between loch and mountain scenery. As for the wind, following on from the accident in Shetland that deprived me of camera and lens, I ended the Wester Ross trip lacking another lens, as the wind, combined with a momentary lapse of concentration, saw another impact of lens and hard ground with fatal consequences (again). In spite of the wind and rain (and damage), it is a part of Scotland that I will gladly return to, whatever the weather. A Gallery of images from Wester Ross will post on the website in future; but for now enjoy the photos below. 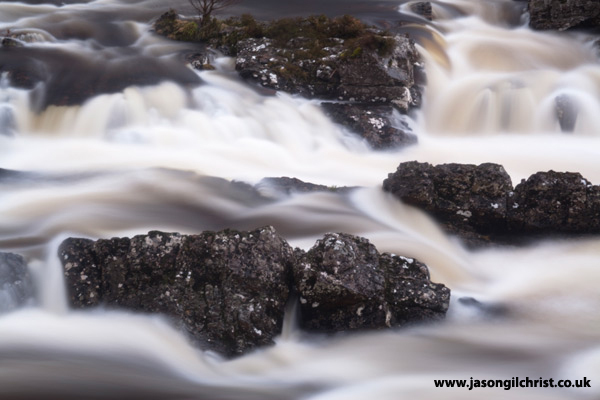 Abhainn Bruachaig river in spate, near Kinlochewe, Wester Ross. 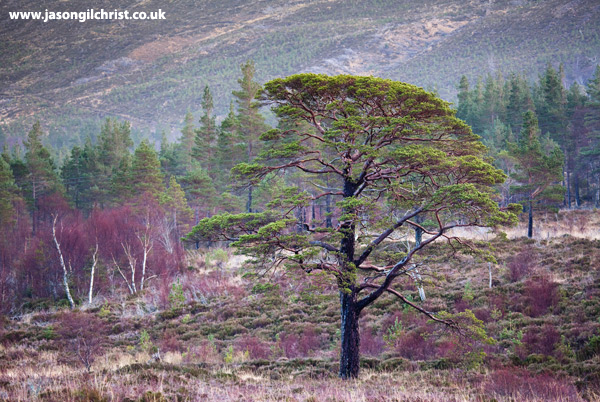 Lone granny pine tree in Glen Torridon, Wester Ross. Snow-covered A' Chreag Dhubh peak on Beinn Eighe. Wester Ross. The header image of the red-roofed croft (click Blog if you cannot see it) overlooking Loch Shieldaig was taken near Ardheslaig on the Applecross Peninsula.